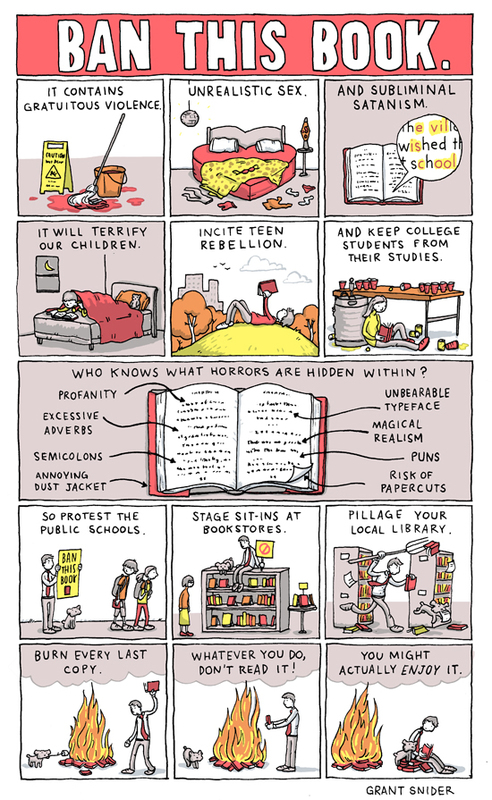 It is the last day of Banned Book Week. It is an annual event, highlighting open and free access of information. We have the right to express and inform ourselves of the ideas we deem important. The books featured during Banned Book Week are works of literature that has been targeted with countless of restrictions or removal from public access. It may be the end of Banned Book Week but I know readers will continue fighting against censorship and the freedom to read. Katrina has read 11 books toward her goal of 150 books. Reading since 2008 I love reading YA fiction the most, but I also enjoy adult and children's fiction every once in a while. While most reviews posted on this blog will be of books personally acquired, there will be some received from publishers and authors. No monetary funds or perks of any kind were exchanged. All reviews are of my honest opinion.